Gabriel García Márquez’s most political novel is the tragic story of General Simón Bolívar, the man who tried to unite a continent. Bolívar, known in six Latin American countries as the Liberator, is one of the most revered heroes of the western hemisphere; in García Márquez’s brilliant reimagining he is magnificently flawed as well. The novel follows Bolívar as he takes his final journey in 1830 down the Magdalena River toward the sea, revisiting the scenes of his former glory and lamenting his lost dream of an alliance of American nations. Forced from power, dogged by assassins, and prematurely aged and wasted by a fatal illness, the General is still a remarkably vital and mercurial man. He seems to remain alive by the sheer force of will that led him to so many victories in the battlefields and love affairs of his past. As he wanders in the labyrinth of his failing powers–and still-powerful memories–he defies his impending death until the last. 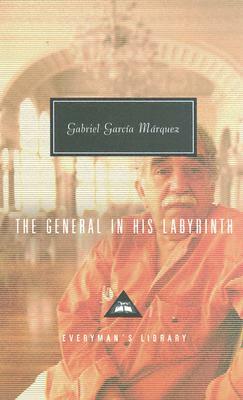 The General in His Labyrinth is an unforgettable portrait of a visionary from one of the greatest writers of our time.